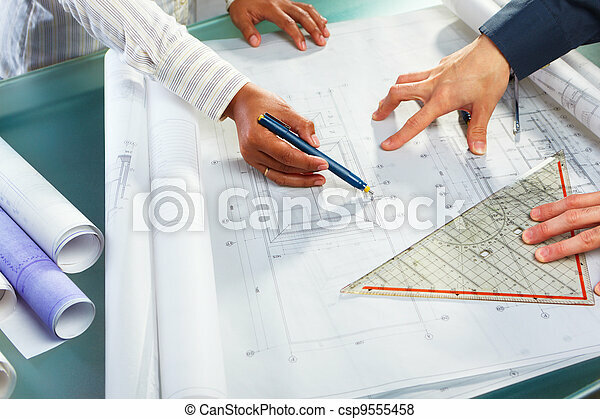 Discussion over architecture design. 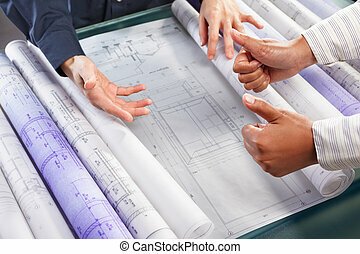 People discussing over architecture design blue print. 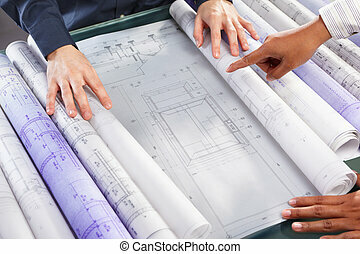 Black and white image of partners in a design studio or architects office having a discussion over blueprints. 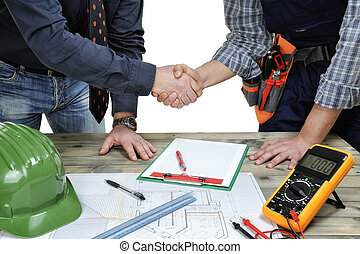 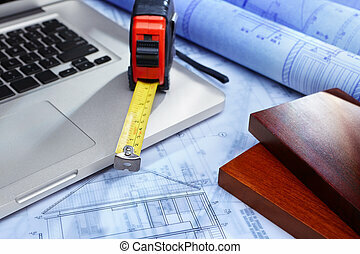 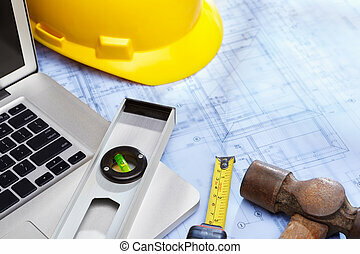 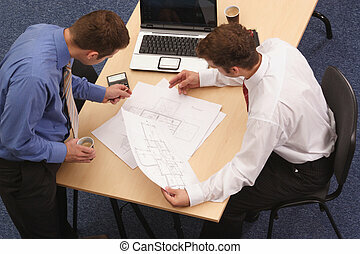 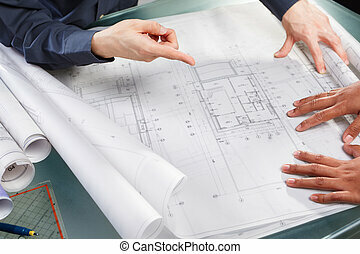 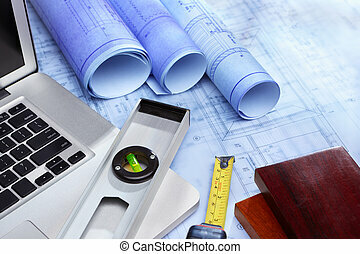 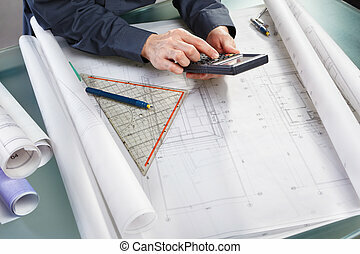 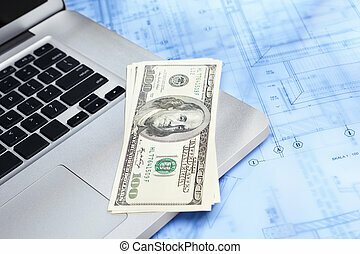 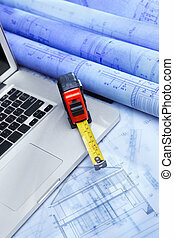 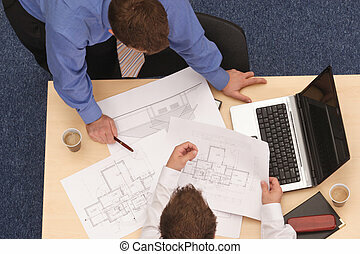 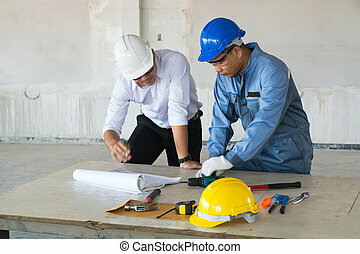 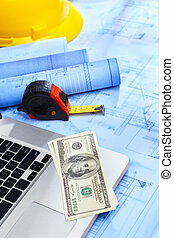 Two architects working together over a blueprint in the office in a low angle view over a table. 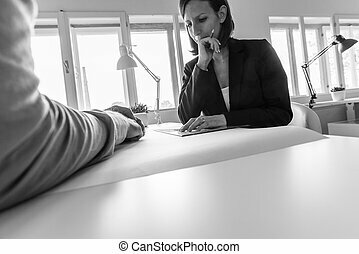 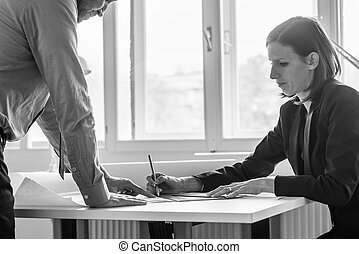 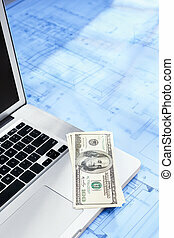 Greyscale image of businesswoman working on project over sheet of paper at office desk with partner. 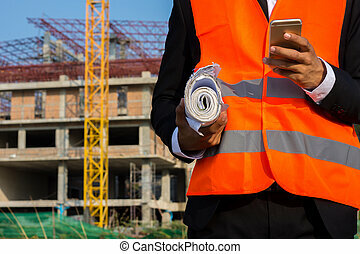 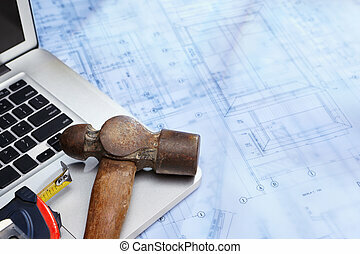 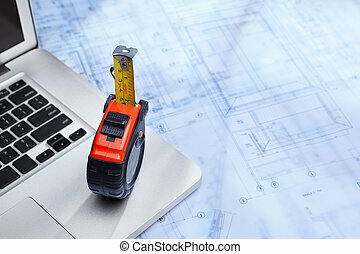 Young engineer in orange shirt stands holding a blueprint and talking on a mobile phone. 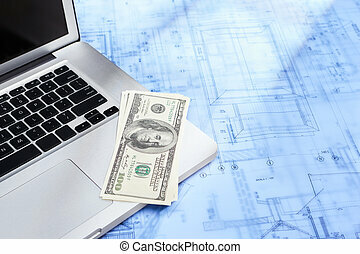 Over building with cranes in the background. 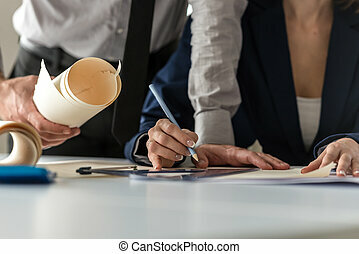 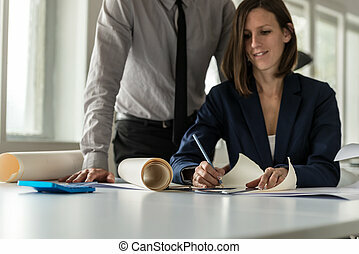 Woman working on project over sheet of paper at office desk with co-worker. 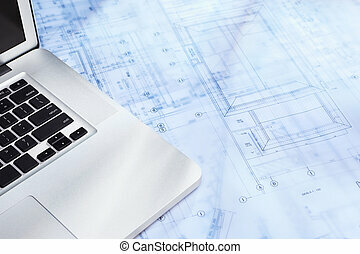 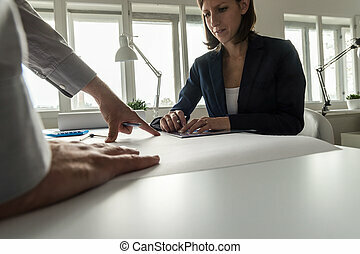 Woman working on a blueprint in an architects office as her partner or associate stands over her watching her in a low angle view across the table. 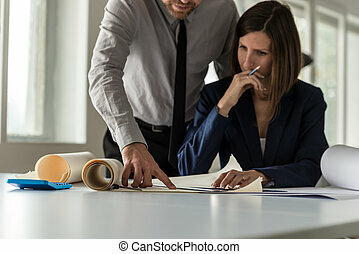 Two architects discussing a drawing or blueprint at a desk in the office in a low angle view of a young woman seated at a table with a male colleague standing over her.